We can use if-else statement in c programming so that we can check any condition and depending on the outcome of the condition we can follow appropriate path. We have true path as well as false path. Otherwise Statement3 and Statement4 are executed. 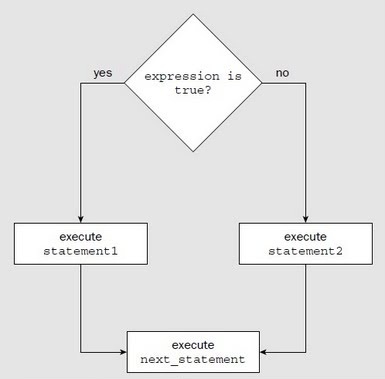 If part Executed if Condition Statement is True. True Block will be executed if condition is True. Else Part executed if Condition Statement is False. More than One Conditions can be Written inside If statement. Opening and Closing Braces are required only when “Code” after if statement occupies multiple lines. Code will be executed if condition statement is True.